As chairman of Renault, Nissan and Mitsubishi, Carlos Ghosn enjoyed unprecedented power. Prosecutors say he used his position to falsify financial information and boost his compensation — charges he has denied. YOKOHAMA, Japan -- Nissan has been handed a list of proposed reforms aimed at eliminating the concentration of power and alleged abuse of privilege that critics say spiraled out of control under former Chairman Carlos Ghosn and triggered the carmaker’s governance crisis. Chief among them are the abolition of the company chairman position, the establishment of committees to break up power and the infusion of external directors across Nissan’s management. The recommendations came Wednesday in the final report of a special committee CEO Hiroto Saikawa set up in December to examine ways of improving corporate oversight. The day also marked the 20th anniversary of the Franco-Japanese alliance Ghosn spent the last two decades building into the world’s biggest auto group. But the carmakers put milestone festivities on hold as they waited for word on mending Nissan’s woes. The seven-person Special Committee for Improving Governance was tasked with studying what triggered the scandal that led to the Nov. 19 arrest of Ghosn on allegations of financial misconduct while he led Nissan Motor Co. It has been examining everything from director compensation to the overall governing structure. The committee proposed a sweeping overhaul that includes creating separate committees to handle everything from corporate auditing to executive remuneration and nomination. The goal is to avert a centralization of power in a single executive and to stamp out conflicts of interest with Nissan’s partners Renault and Mitsubishi. The committee recommended abolishing the office of company chairman and replacing it with a chairman of the board of directors, whose role would be primarily to run its meetings. It said his alleged misconduct pursued personal enrichment and was therefore “fundamentally different” from traditional forms of corporate misconduct, such as accounting fraud, where perpetrators claim they are acting on behalf of the company. The panel based its report and recommendations largely on the internal probe conducted by Nissan. The committee did not interview or take testimony from Ghosn or Greg Kelly, the American director indicted as a co-conspirator. Critics, including former protege Saikawa, say Ghosn’s unprecedented role as chairman of Renault, Nissan and Mitsubishi enabled him to perpetuate questionable practices unchecked. The panel presented its ideas for preventing a repeat to Nissan’s board of directors earlier in the day, then held an evening press conference to publicly explain them. Nissan’s board will now consider the proposals. It is expected to vote on those that can be adopted in a form the board finds acceptable, a Nissan official said. Some of the proposals may also require shareholder approval at the company’s annual shareholder meeting in June. “It is expected that Nissan takes these recommendations seriously and execute them in a swift and sincere manner,” said Seiichiro Nishioka, co-chairman of the special governance committee and a former Tokyo District Court judge. The panel recommended that Nissan implement new committees for audit, compensation and nomination by the end of June. The reform committee has three external directors from Nissan -- Masakazu Toyoda, Keiko Ihara and Jean-Baptiste Duzan -- and four third-party members. An infusion of external directors was a cornerstone recommendation. The committee recommended that future boards of directors have a majority of independent, outside directors. It said the compensation committee should be composed solely of independent, outside directors. And it said the nomination committee should have a majority of such members. Such directors should also form the majority of the audit committee. Nissan today has a nine-member board of directors, but just three are external: Duzan, a former Renault executive thought to reflect the French carmaker’s interests; Toyoda, a former Japanese government bureaucrat; and Ihara, a race car driver. The reform panel did not specify an ideal size for the board. Regarding the potential flashpoint issue of appointing a Nissan chairman to replace Ghosn, the committee essentially punted by recommending that the position be abolished. Instead, there would be a chairman of the board of directors, who would essentially run the board meetings but have no wider sway, especially in operational issues. Nissan said this month that newly appointed Renault Chairman Jean-Dominique Senard was expected to take the role of vice chairman at Nissan. The chairmanship of Nissan was a bone of contention between Renault and Nissan, which are bound together in a complicated cross-holding that gives Renault a controlling 43.4 percent stake in its Japanese partner. Renault had wanted to appoint Nissan’s chairman, but Nissan resisted. Senard demurred on the matter, helping defuse tension. Nissan representative directors, those with special rights to sign financial documents on behalf of the company, should not also be officers or employees of Renault or Mitsubishi. This would typically apply to executives such as CEO or COO. Ghosn had served as joint head of all three. Nissan’s nomination committee will set a succession plan of executives and review it yearly. This is meant to address the issue of keeping one leader at the top for too long. Ghosn was chairman of Nissan from 2003 until November. A special fund to be used at the CEO’s discretion, known as Nissan's CEO Reserve, should be abolished. Ghosn’s use of this fund is at the center of one of the indictments against him. 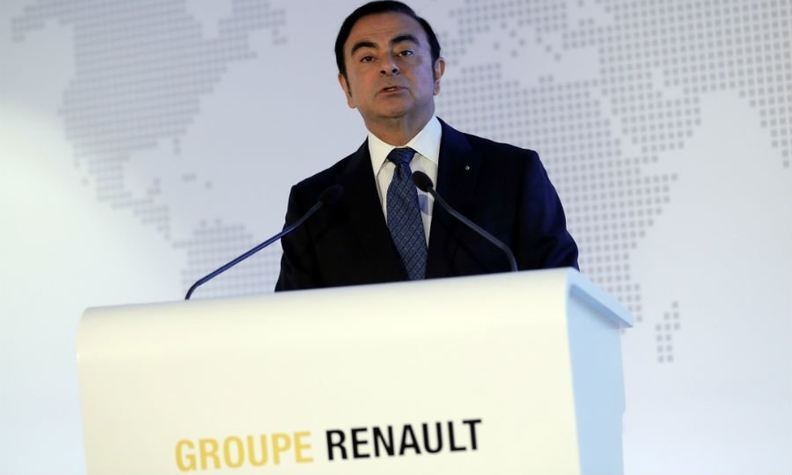 Helping rapprochement between Nissan and Renault was an agreement this month that Renault, Nissan and the alliance’s junior partner, Mitsubishi, would create a consensus-based governing board to replace the one-man, top-down approach exercised by Ghosn. On the four-member Alliance Operational Board, each company will be represented by its CEO, while Renault gets double representation with Senard. Prosecutors have slapped Ghosn with three indictments, two on allegations of misreporting tens of millions of dollars in deferred compensation and the third concerning allegations of breach of trust. Ghosn denies any wrongdoing. He faces up to 10 years in prison if found guilty. His trial is expected to begin in September, Ghosn lawyer Junichiro Hironaka told reporters. In the first two indictments, Ghosn is charged with falsifying company financial filings to hide some $80 million in deferred compensation. Kelly has been charged as a co-conspirator in this matter. He also denies the charges. Ghosn’s breach-of-trust charge alleges that he temporarily shifted ¥1.85 billion ($16.5 million) in personal swap contract losses to Nissan and had Nissan pay $14.7 million out of the CEO Reserve to a business associate who allegedly helped Ghosn handle the red ink. Nissan plans to hold an extraordinary shareholder meeting April 8 to remove Ghosn and Kelly from the board. Ghosn was removed as chairman shortly after his arrest, and both men were stripped of their roles as representative directors. But only shareholders can vote them off the board. Nissan is continuing a misconduct investigation at Renault-Nissan BV, the Netherlands-based joint venture entity between itself and Renault, and a host of European subsidiaries, in a move that could trigger more upheaval. The reform panel said such joint ventures should be reviewed and considered for abolition. The boardroom scandal at Nissan has shaken the alliance. Ghosn was dispatched from Renault to resuscitate a near-bankrupt Nissan in 1999 and soon was running both companies. In 2016, he brought Mitsubishi into the group. Today, Renault owns the controlling 43.4 percent of Nissan, which in turn owns a 15 percent stake in Renault with no voting rights. Nissan also owns a controlling 34 percent stake in Mitsubishi. Ghosn was chairman of all three companies. Since his arrest, the boards at Nissan and Mitsubishi have dismissed him as chairman. He resigned as Renault chairman in January. The panel did not make any recommendations regarding the cross-shareholdings or the contract binding Renault and Nissan, saying those were matters for shareholders to determine.